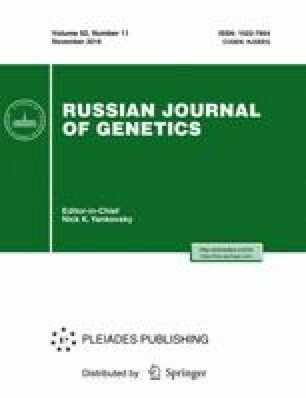 To study the phylogenetic relationships, evolutionary history, and molecular systematics of firs (genus Abies), the phylogenetic reconstruction, based on nuclear multilocus markers—amplified fragment length polymorphism (AFLP)—was conducted. Using seven combinations of selective primers, 84 samples of 39 taxa were genotyped for 553 polymorphic AFLP loci. A comparison with our earlier chloroplast and mitochondrial phylogenies of the genus (in 2014) shows that the nuclear phylogeny generally is more congruent to the chloroplast tree. Most of the clades resolved by the chloroplast phylogeny were supported also in the AFLP tree. Employing the nuclear DNA-based tree, we revealed the presence of new groups and the differences in the topology of several clades. AFLP confirmed the monophyly of Asian species of section Balsamea and their sister position in relation to the American group of species of this section. As shown by the tree of chloroplast DNA, Asian species of section Balsamea do not form a monophyletic group, but belong to the clade comprising the majority of Asian species. Phylogenetically mitochondrial DNA data to a large extent are not congruent to the nuclear and chloroplast DNA trees, and are more in line with geographical distribution of species. Conflicts between nuclear and cytoplasmic phylogeny were analyzed. Taking them into account, we consider the hypothesis of a hybrid origin of particular groups of firs, including ancient hybridization in section Balsamea. A comparison of molecular data with traditional taxonomy of the genus is discussed. Original Russian Text © S.A. Semerikova, V.L. Semerikov, 2016, published in Genetika, 2016, Vol. 52, No. 11, pp. 1287–1299.